If Tom Cruise’s performance in Edge Of Tomorrow (or Live. Die. Repeat., if you’re one of the many so bored by the original title that it was changed for home video) proved anything, it’s that he is unflappable in the face of dying over and over. 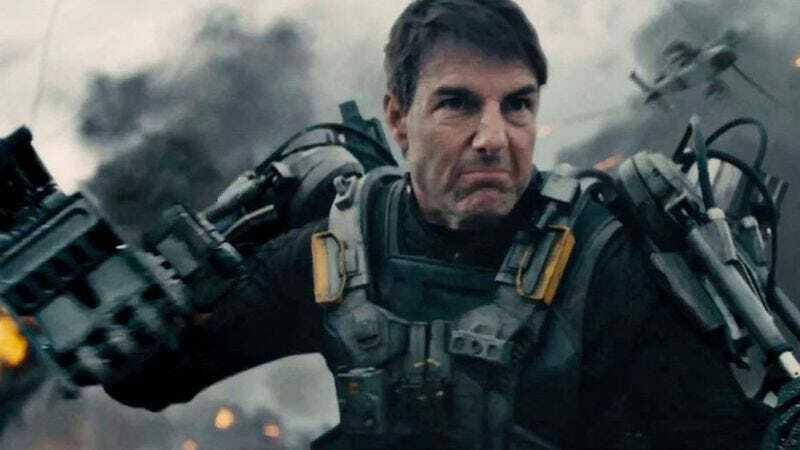 Thus, while some might walk away from the experience of making a great movie that bombed at the box office chastened, Cruise has stared economic defeat in the face and said, “No.” Variety reports that the star is in talks to reteam with Edge Of Tomorrow: Live. Die. Repeat: Mockingjay—Part 2 Please Watch This director Doug Liman for a drug-trade thriller. Liman has signed on to direct Mena, a film about the CIA covert operation that birthed the Medellin cartel and led to the Iran-Contra scandal. Cruise would likely portray Barry Seal, a “TWA pilot recruited by the CIA to provide reconnaissance on the burgeoning communist threat in Central America.” It sounds like Liman and Cruise have found a theme: movies about people doing the same thing over and over, hoping for better results, which is an apt description of the United States war on drugs. Speaking of doing the the same thing over and over, Cruise is currently filming Mission: Impossible 5, so this drug war will have to wait for a bit.